When looking to add a rustic sofa table to your log cabin or rustic home you want a piece of log furniture that is hand crafted with style and durability in mind. At least that is what we look for, so we designed this table with that in mind. Your log sofa table will feature a 2" thick solid wood top with a 3" log edging. Yes, solid wood. Aged Northern White Cedar logs are then hand peeled to ensure the integrity of the log and all of the character left by nature is left intact. Nature made the log unique, we want to leave it that way to ensure your log sofa table has as much rustic style and charm as possible. These logs make up the legs, supports and trim of the sofa table top. Your log sofa table is available in multiple sizes to fit the area you want to place it. You also have a choice of ordering your sofa table in a clear, vintage whiskey or honey finishes. Personalize the rustic sofa table to fit your desires, your style, your rustic decor. 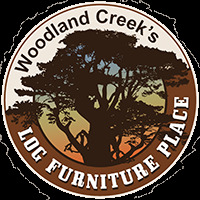 When you choose Cedar Lake log furniture you choose rustic furniture that is hand crafted by master craftsmen, your furniture will be rustically elegant, and will stay solid for decades.